DAWSON WAM was awarded the contract for the installation of permanent sheet piled retaining walls, vertical land drains and steel access mats for a 600t crawler crane on the Improvement Scheme to the Junction which links the M1, M6 and A14 roads. 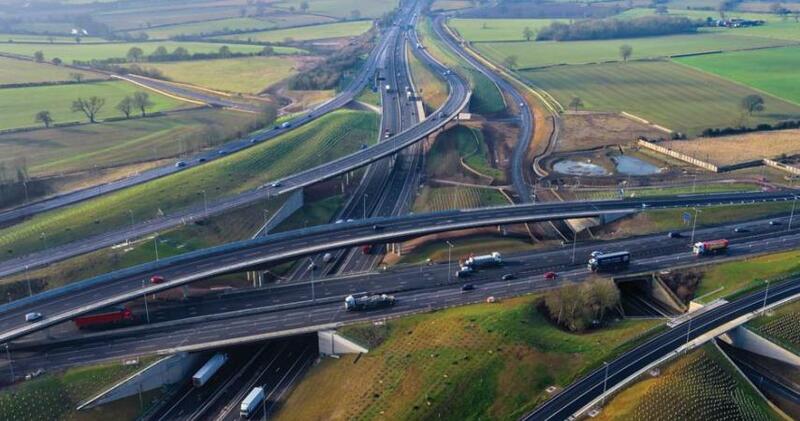 The scheme was a key project in the Highways England upgrade framework due to the extremely heavy use, resulting congestion and delays, and due to the number of serious accident associated. The new layout helps with the conflict between local and long-distance traffic and provides much better facilities for pedestrians, cyclists and horse riders. DAWSON-WAM utilised one of their powerful ABI TM22 piling rigs to install 7m sheet piles for a new transmitter station in between the live carriageways. 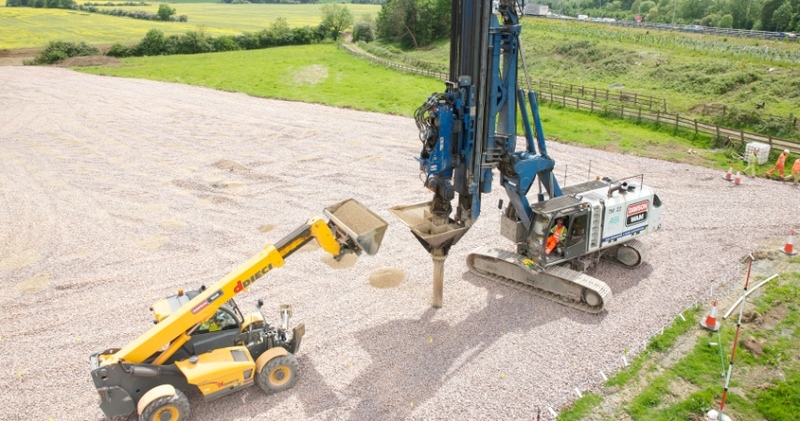 It’s revolutionary quick docking system, which allows quick set up and attachment change over and 7m long sheet piles to be driven efficiently into the underlying stiff clays. 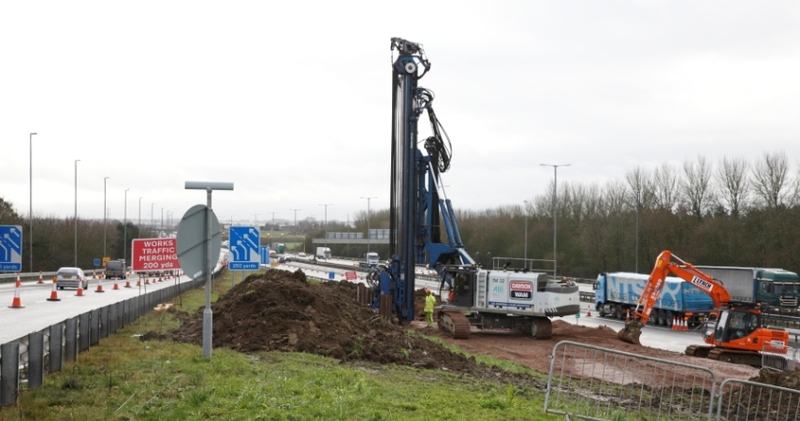 The same piling rig was then used to install over 2,000 number 300mm diameter vertical sand drains adjacent to the Westbound carriageway to assist with the dewatering and settlement of underlying soil prior to a new carriageway construction. Drains were installed to 9.5m in depth using a mandrel and hopper configuration. The mandrel was driven into the soils using one of our ABI TM22 piling rigs and 30VV hammer and pea shingle was loaded into the hopper by our DIECI Loadall. The rigs data logging system was used to monitor and record installation and produce accurate as builts of the drains. 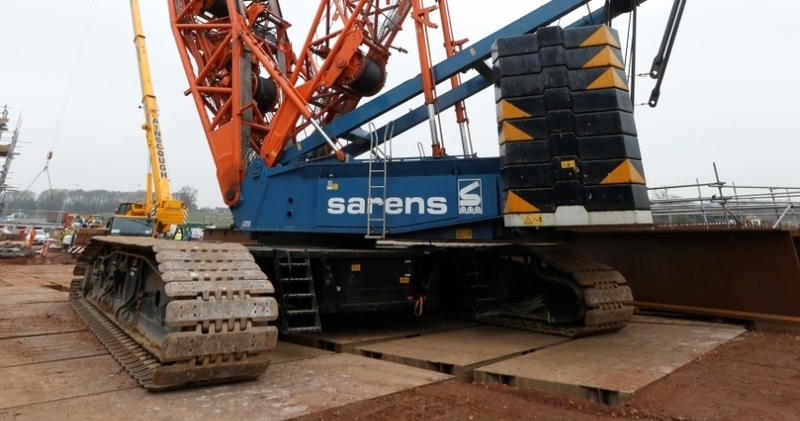 The works required the installation of 6nr new bridge structures from using plate girders, and due to the size and complexity of the lift a 600t crawler crane was used facilitate the works. To ensure a safe and stable working platform for the crane Skanska used DAWSON-WAM’s steel mats to support the crane. In total over 30nr mats were supplied to Skanska to facilitate the installation of bridges.